Ya’ll, we have had the prettiest first week of Spring! I know so many are dealing with snow, but our weather has been picture perfect. So I think you should all escape to Texas and join our Spring weather party!! 🙂 I have a feeling everyone will be outdoors all weekend long, and the rosé will be flowing! I love pulling out the black and white gingham print for Spring. This print seems right up there with florals in popularity. I found this gingham dress about a week before I bought it. I could not get it out of my head. I loved the gingham, but I also LOVED the ruffle midi bottom and halter neckline. I think two really work well with my petite frame. The full skirt is balanced out by the tighter fitting and shoulder baring top. Also, this dress is perfect for twirling. I felt a little like my BFF’s 3-year old when she puts on her princess dresses. I just had to twirl a bit. Originally, I pictured pairing this with fun red statement jewelry for a party or happy hour look. Once I tried it on, I decided to play with a softer color and pair it with this light turquoise statement necklace and simple gold stud earrings. I like how the softer color plays up the feminine details on the dress. 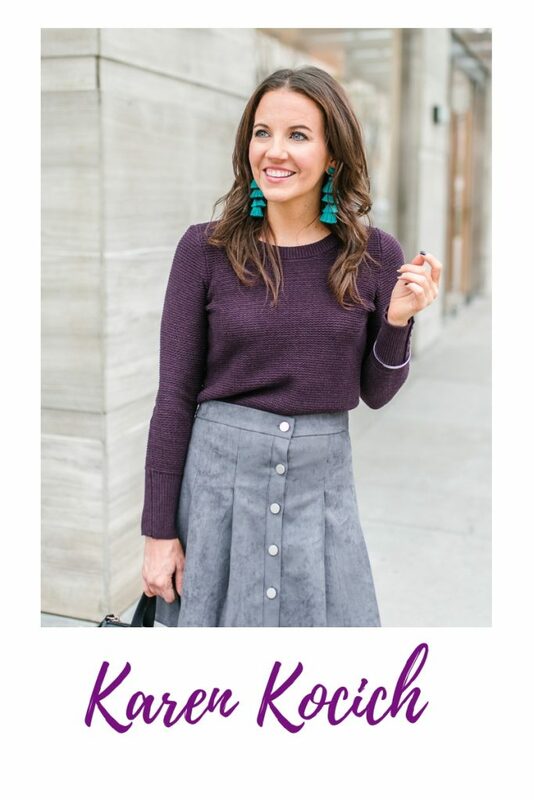 I think this softer styling would be perfect for a baby/bridal shower, date night, or a fancy lunch. Sizing Note: Most brands at Asos are European sizing, so you will need to size up. I am wearing a US6 in this dress, and I normally wear a 4 in dresses. If you have never shopped Asos before, I love them! They were one of the first places I shopped at online. They have really quick shipping. I usually get my packages in 2-7 days, and the return process is really easy too. With the sizing difference, I have had some big misses which made me appreciate their easy return process. If you want more pretty dress ideas, check out my last post with my top 20 dresses for Spring all under $100! I hope you all have a fabulous weekend! 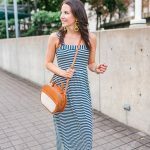 Striped Maxi Dress + GIVEAWAY! The dress is so cute! The gingham is a great option for summer and the cute top and tie are perfect little details! What a cute dress! I never thought to pair the black and white gingham with turquoise jewelry. This is so flattering. Cute! Well no wonder you couldn’t quit thinking about it. It.is.darling! I was seriously thinking I’d be ordering it too, but then I saw the back. I don’t think my 50 year old self needs to share that much skin with the world. You on the hand. ADORABLE!!! What a beautiful dress! I love how you styled it, your necklace is gorgeous and adds such a nice pop of color. Love your gingham!! Super cute. This dress is too cute! I love it with the turquoise jewels. I think I need this in my own closet for Spring! What a stunner of a dress! I can see it working so well for so many occasions…with flat sandals by the beach, with wedges for a daytime event, and even more formal with fancy heels and jewelry like your look here. And who can get enough of gingham? Not me! That dress is so cute! I love the pop of color from the necklace.